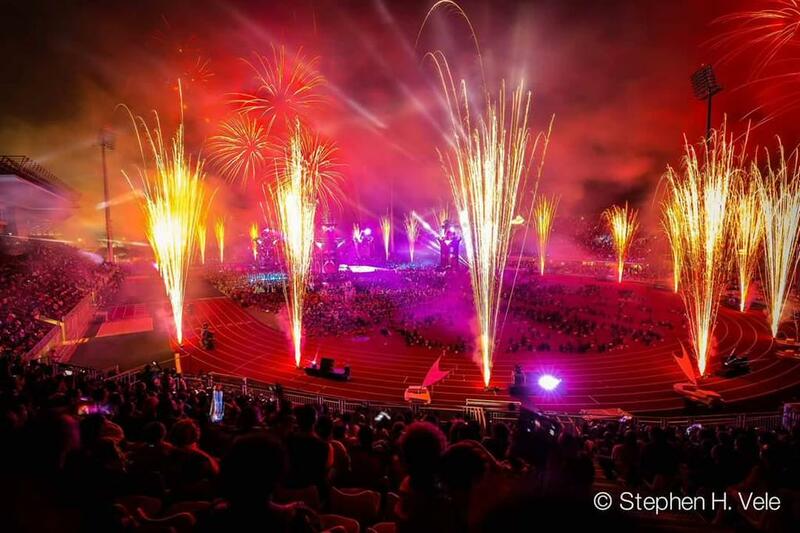 Howard & Sons Pyrotechnics were delighted to work with Supercars to produce the spectacular special effects, firejets, flutter-fetti podium celebration and fireworks finale for the 2018 Red Rooster Sydney SuperNight 300. 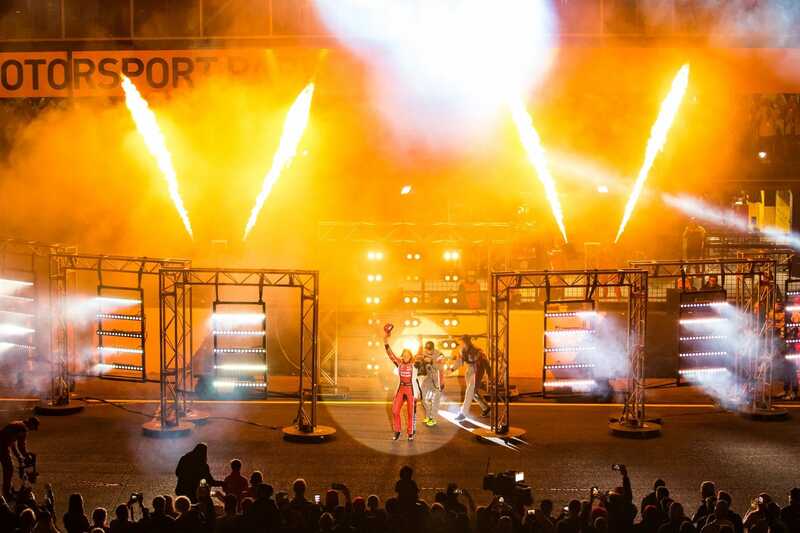 Howard’s firejets illuminated above the Supercar drivers as they walked through impressive ‘rock star’ style entrance onto the Sydney Motorsport Park main straight in front of a record crowd of over 22,200 race fans and was broadcast live on Fox Sports. 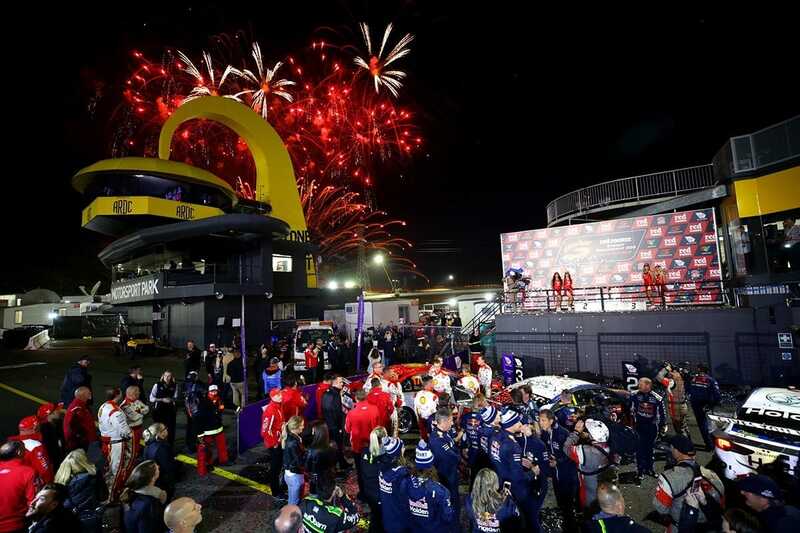 The podium celebrations were capped off by Howard & Sons producing a shower of silver flutter-fetti over the drivers as a huge barrage of ‘Red Rooster’ fireworks lit up the night sky above. 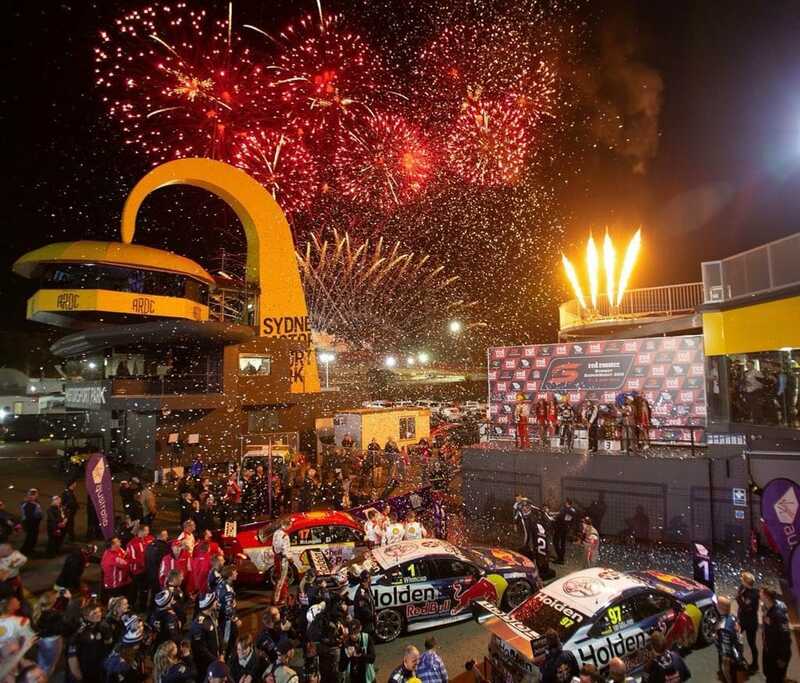 Leading drivers have praised Supercars’ efforts to enhance the return of night racing in Sydney with theatrical pre-race introductions and post-race fireworks. 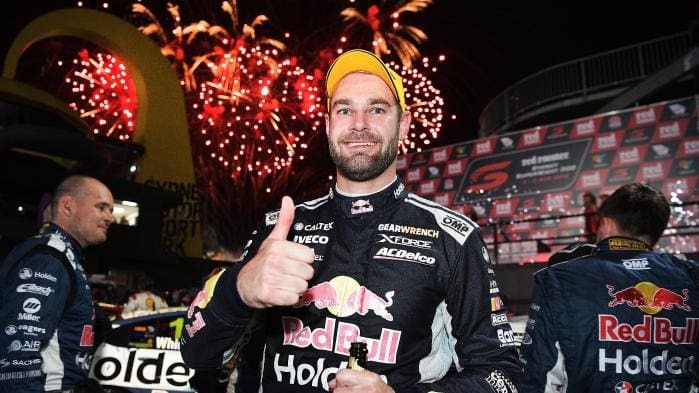 Points leader Scott McLaughlin was among the most enthusiastic, performing a brief dance after being introduced, and later expressing his desire to see similar intros at future events. 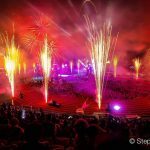 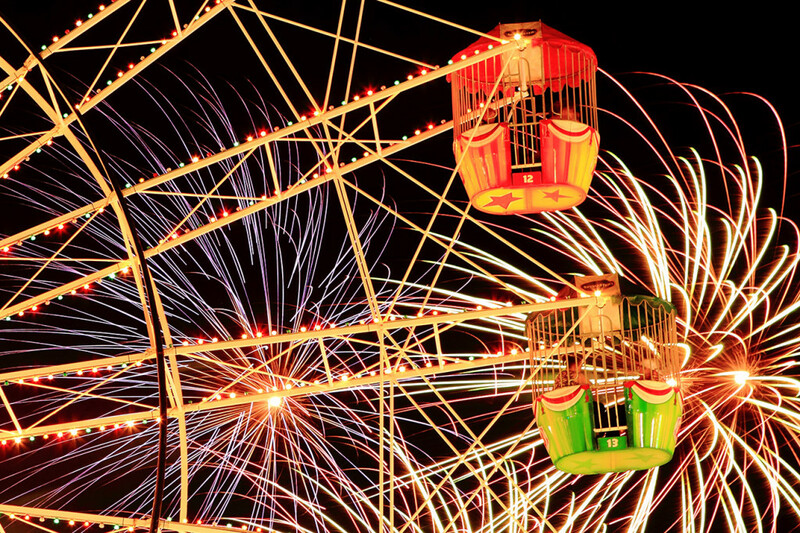 “It was nice, it was more of a spectacle, they put on a good show, including the fireworks at the end.” said McLaughlin. 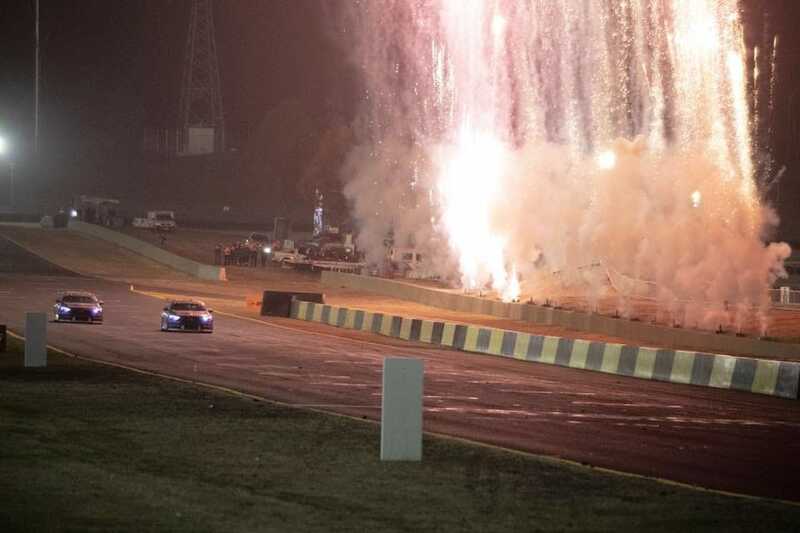 It was a bit of a generational Deja vu moment for Christian Howard, who remembers working as an eager 18 year old pyrotechnician with his father Les Howard at the Triple Challenge event back in 1994, which was the last night Supercars raced under lights in Sydney. 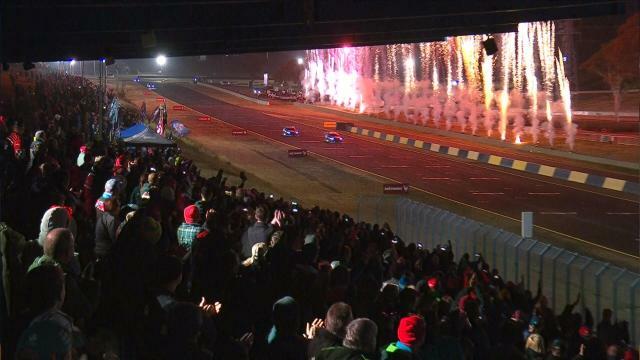 Ironically that year Les worked with Kevin Prendergast, who the motorsport events manager, this year’s event was produced by Kevin’s son Nathan Prendergast Supercars General Manager of Television and the fireworks and special effects were produced by Les’s son Christian Howard and his talented pit crew of pyrotechnicians.